And its other name, “drinking vinegar,” isn’t exactly the most enticing phrase either. You might wonder if someone is trying to rebrand spoiled wine or if we’re talking about really high-end balsamic with the kind of price tag that can make a person weep. Which is unfair, because a shrub is a complex fruit and vinegar syrup that makes a great, sweet-tart grown-up soda (I hate the word “mocktail”) or a refreshing, fruity, sour cocktail component. 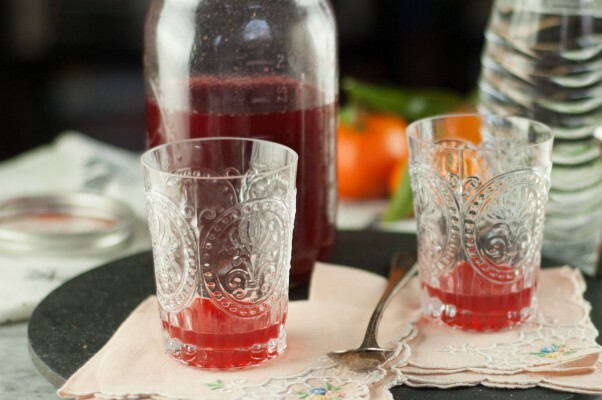 Versions of these fruit-sugar-vinegar drinks have been around since ancient times in Turkey and Persia, and shrubs very much like this blackberry-raspberry shrub were incredibly popular in colonial America. 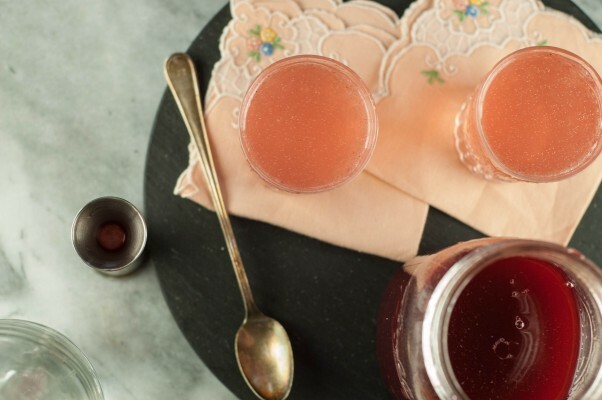 Their popularity waned considerably after Prohibition, but like so many pre-Prohibition cocktails, shrubs are experiencing something of a renaissance. I had read about them in various food and drink publications over the last several years, and as something of a cocktail geek, I was intrigued. It went on my mental list of things to make. 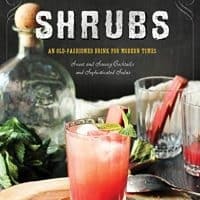 But it kept getting pushed behind other, more pressing projects until I picked up Michael Dietsch’s aptly titled book Shrubs: An Old Fashioned Drink for Modern Times. Tracing the etymology, the global path, and the evolving versions the drink has taken, Dietsch goes deep on the history of shrubs. It’s a thoroughly researched, fascinating read. Luckily, the process of making a shrub isn’t nearly as complicated as its history. 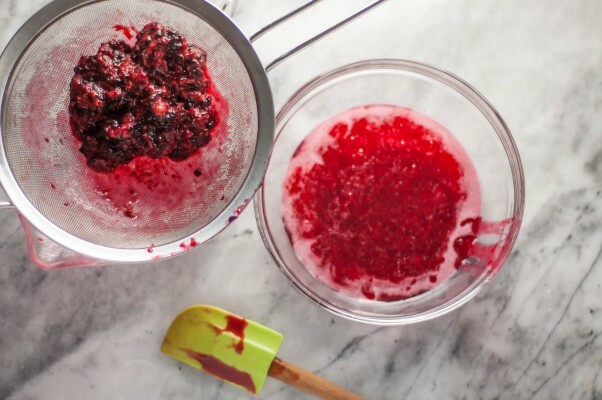 This blackberry-raspberry shrub, which is adapted from Dietsch’s book, uses a cold-process method to preserve the flavor of the fresh berries. 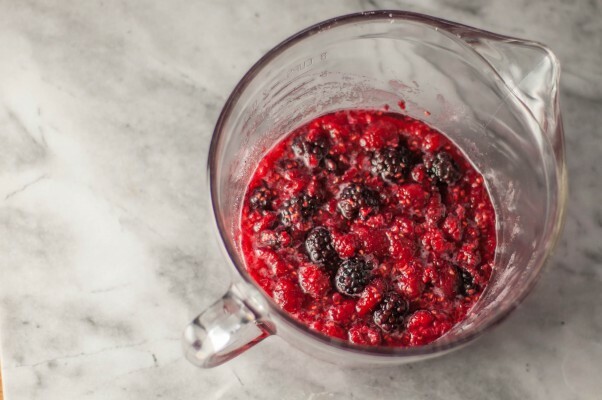 It’s a simple matter of mixing the berries with sugar and letting them macerate overnight, straining out the fruit solids, and mixing the remaining syrup with vinegar and letting it sit in the refrigerator for a week to allow the flavors to meld. And it’s easy to play around with the flavors because shrubs are so forgiving. If you want it sweeter, add more sugar, if you want it more sour, add more vinegar, if you have different fruit or want to throw in some herbs or citrus zest, feel free. I’ve been drinking this mixed with soda water (we use a soda stream to keep carbonated water around all the time). It makes an incredibly refreshing, sophisticated kind of soda. It’s got this wonderful thirst-quenching sourness and reminds me a little bit of a traditional lambic with funky, fruity, sour notes (Dan says it reminds him a little bit of kombucha–but I’d say it’s got significantly less funk). This isn’t something I’d expect to be popular with kids, but it would be great for that pregnant friend or designated driver or any adult who, for whatever reason, wants a drink that tastes grown up but doesn’t want the alcohol part. If you want an even more complex nonalcoholic beverage, you can add in some orgeat along with the shrub and soda water. That’s Dan’s favorite way of drinking it. For those looking for a boozier beverage, you could add some of this shrub to white wine or champagne (or cava or prosecco) for an easy and elegant little drink. You could add a splash of Saint Germain or Aperol to make it even more interesting. A splash of this shrub would be nice in a gin and tonic, a gimlet, or a negroni. 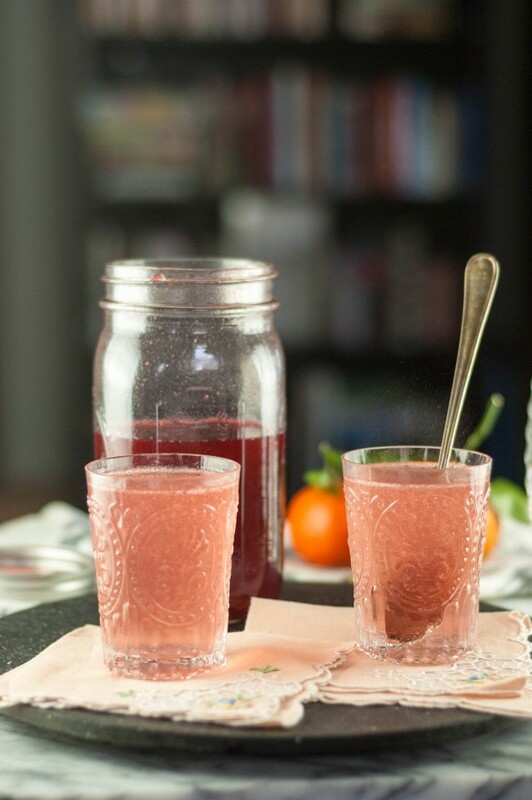 (If you’re a cocktail fanatic, Dietsch has plenty of cocktail recipes that use shrubs.) And because the vinegar acts as a preservative, this will keep for ages in the refrigerator. It only takes a few minutes of active time, and the payoff here is big. So make like Benjamin Franklin and have a shrub. This is a very flexible recipe. It only takes a few minutes of active work. Time does most of the work for you. Just be sure to start this a week ahead of time to allow the flavors to meld. I followed Dietsch’s basic formula and used 2 parts fruit to 1 part vinegar and 1 part sugar. You can feel free to adjust the ratio of blackberries to raspberries–equal parts would be lovely I’m sure. I used superfine sugar, which dissolves easily, but it’s certainly not necessary. If you use a coarse sugar (a raw cane sugar would be delicious here), you might want to zizz it in the food processor for a little bit to make it finer so it dissolves more easily with the fruit. 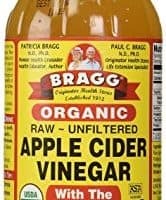 I used a blend of apple cider vinegar and sherry vinegar here. You could use all apple cider vinegar or substitute red wine vinegar for the sherry vinegar. I wouldn’t use balsamic vinegar here because I think it would overpower the fruit (though some balsamic would be nice in a strawberry shrub…). 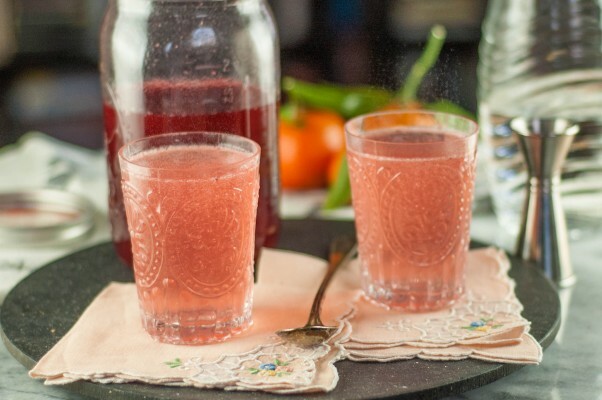 I usually use about 1/2 ounce of shrub to about 8 ounces of soda water for a simple soda. 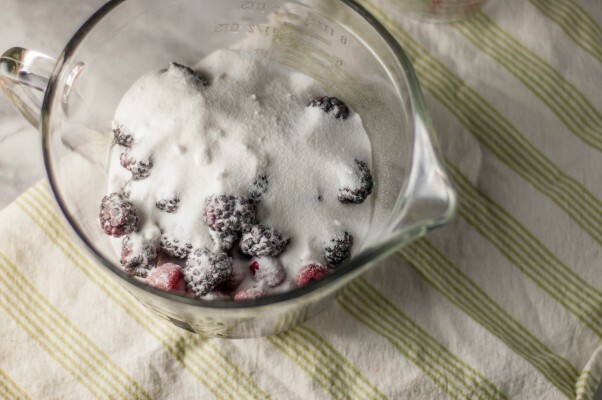 In a large bowl combine the sugar and berries and mix well. Cover and refrigerate for 24 hours. 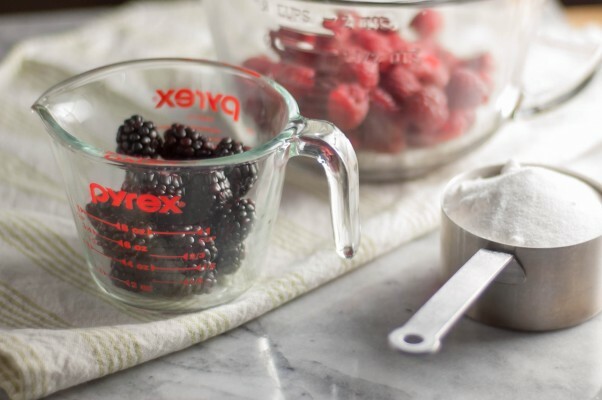 The next day remove from the refrigerator and strain out the berry solids. 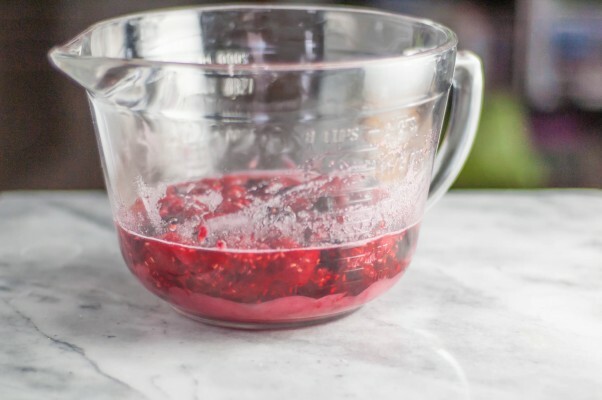 Mix the resulting syrup with both kinds of vinegar and discard the berry solids. Store in a clean glass jar in the refrigerator for a week before using. Keeps well for at least a month, probably longer. Your photos are beautiful and you’re very kind. Glad you enjoyed the book! Thanks for stopping by, Michael. I love your book!